Students and Researchers in the Graphene Flagship are getting ready for two exciting experiments in association with the European Space Agency (ESA) in order to test the feasibility of using graphene for space applications. Both the experiments will be launched between 6-17th November 2017, and will focus on analyzing graphene in zero-gravity conditions for determining its efficiency in space applications including thermal management and light propulsion. 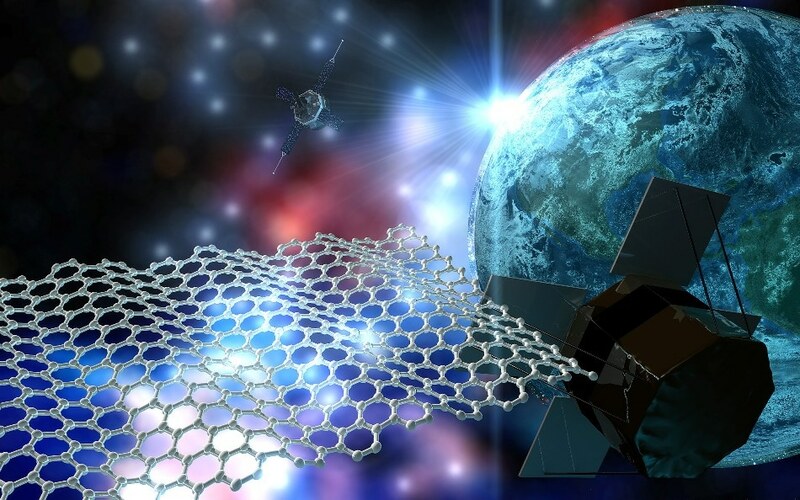 The Graphene Flagship is a pan-European research initiative that focuses on producing new technologies based on graphene, which is the single-atom-thick allotrope of carbon possessing exceptional optical, thermal, mechanical and electrical properties. Training young Researchers and Students is the basic aim of the Graphene Flagship. These motivating space-related experiments are considered to be an exceptional opportunity for Flagship Researchers and Students allowing them to gain new experiences in cutting-edge research. The Graphene Flagship will enable individuals to follow the progress from the initial stages in the laboratory to the moments of weightlessness. In an experiment that is completely headed by Students, a team of Graphene Flagship Graduate Students from Delft Technical University (TU Delft; Netherlands) will take part in ESA Education’s Drop Your Thesis! programme. Their winning proposal will make use of microgravity conditions in the ZARM Drop Tower (Bremen, Germany) in order to test graphene for light sails. In the experiment, laser light will be allowed to shine on suspended graphene-membranes from Flagship partner Graphenea in order to test the amount of thrust that can be produced, which indeed could make room for a new method of propelling satellites in space using light from the sun or lasers. The PhD student team, called GrapheneX, is made up of Santiago Cartamil Bueno, Davide Stefani, Vera Janssen, Rocco Gaudenzi, all research students in Herre van der Zant’s research group in TU Delft. We split tasks between the team and things are working well. We are very ambitious with the quality of the experiments. We really want to do it properly, so we are committed to do real science in this project. ESA Education’s Drop Your Thesis! programme allows Students to design an experiment for the ZARM Drop Tower in Bremen, Germany, which helps in simulating the low gravity and vacuum conditions of space. The 146 m ZARM Drop Tower produces extreme microgravity conditions down to one millionth of the Earth’s gravitational force. In vacuum, a capsule comprising of the experiment is catapulted up and down the tower, thus providing a sum of 9.3 seconds of weightlessness. There is an ongoing experiment examining how graphene can enhance efficiency in heat transfer in loop heat pipes. These pipes are cooling systems extensively used in aerospace instruments and satellites. The experiment is a teamwork between Graphene Flagship partners at the Microgravity Research Centre, Université libre de Bruxelles, Belgium; the Cambridge Graphene Centre, University of Cambridge, UK; Institute for Organic Synthesis and Photoreactivity, National Research Council of Italy (CNR), Italy; and Leonardo Spa, Italy, a Global Leader in aerospace, developing a wide range of systems and components for space applications. The wick, generally developed from porous metal, is considered to be a vital part of the loop heat pipe. Different types of graphene-related materials will be used in this experiment for coating the wicks in order to enhance the efficiency of the heat pipe. This will be followed by testing the coated wicks in a low-gravity parabolic flight operated by ESA in collaboration with Novespace, France. The custom modified plane will make a series of 30 parabolic ascents with around 25 seconds of weightlessness in each parabola during each 3-hour flight. Graphene Flagship Researchers Vanja Mišković and Fabio Iermano, both working at the Microgravity Research Centre, and Lucia Lombardi and Yarjan Samad, both at the Cambridge Graphene Centre were involved in the experiment. In addition to the on-ground experiments, the young Researchers will indeed experience weightlessness on board the low-gravity flights in November. I’m really excited because this will be my first zero gravity experience. The idea is to use graphene to improve the thermal conductivity and the capillary pressure by growing a sponge in the pores of the wicks. Andrea Ferrari (University of Cambridge), Science and Technology Officer of the Graphene Flagship and Chair of its Management Panel added, "Space is the new frontier for the Graphene Flagship. These initial experiments will test the viability of graphene-enabled devices for space applications. The combined strengths of the Graphene Flagship, Flagship partners and the European Space Agency as well global leader in aerospace applications Leonardo, give a strong basis to reach a high technology readiness level." These two projects exemplify the two-fold character of the Graphene Flagship: the loop heat pipe project is targeting a specific application, while the light sail project is firmly linked to basic research and builds upon the unique combination of properties that only graphene can offer. I am particularly proud of the fact that one of these projects was initiated by students working on area completely disconnected from space applications: this demonstrates the creativity of the next generation of researchers, and shows the sometimes surprising links between different parts of our Flagship - or maybe I should say spaceship?